Bring your studio to the world. On video. 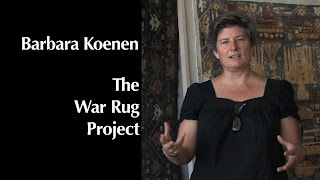 Finishing Barbara Koenen's clip about her War Rug Project. 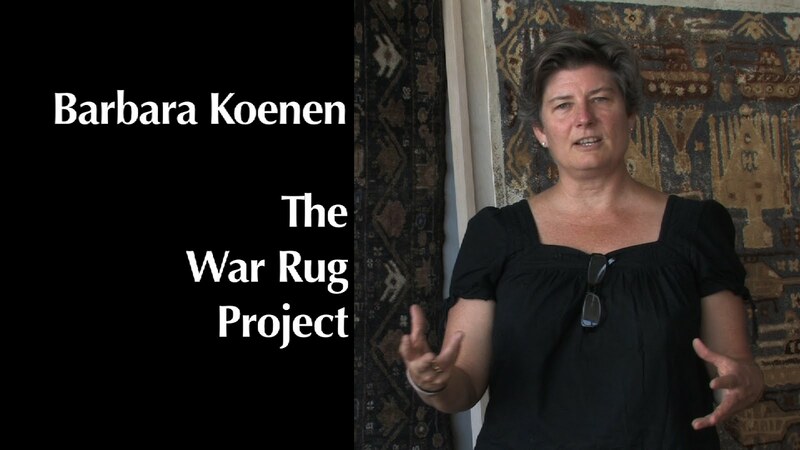 She's reproducing the rugs Afghan women weave, the ones about the wars there. 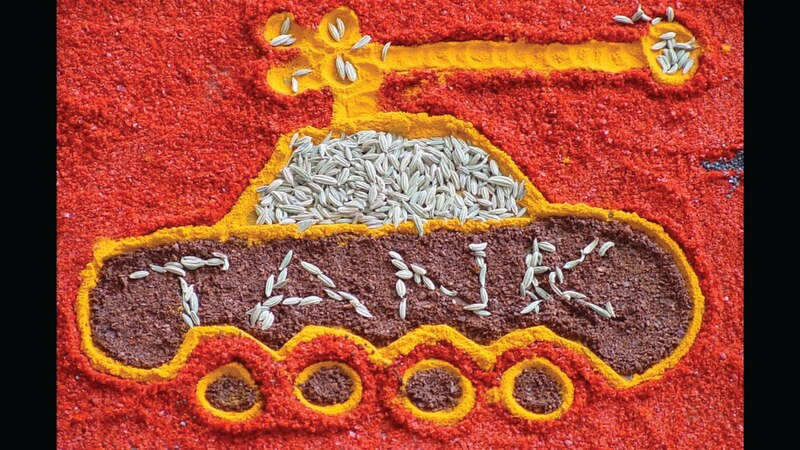 Starting with the soviet invasion and continuing through the American one, they've made art with the emblems and stories of their never-ending war. 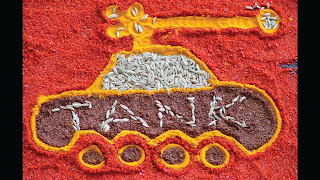 Barbara, as a matter of art and politics, recreates those rugs with spices, an historic product of Afghanistan. Right now, she has one on the floor of Tom Burtonwood's What It Is Gallery, 23 E. Madison, in Chicago, closing around January 14, 2013. 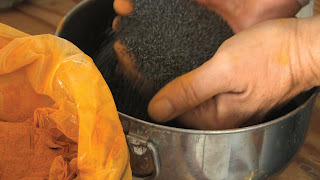 If you go, smell it. Barbara is great to work with because she has deep conceptual takes on her work AND delightful creative surprises in the same breath. Look for her video on her own site: BarbaraKoenen.com and on youtube, of course.